‘Oumuamua continues to inspire questions and provoke media attention, not only because of its unusual characteristics, but because of the discussion that has emerged on whether it may be a derelict (or active) technology. Harvard’s Avi Loeb examined the interstellar object in these terms in a paper with Shmuel Bialy, one we talked about at length in these pages (see ‘Oumuamua, Thin Films and Lightsails). The paper would quickly go viral. I can’t tell you what this moment will look like. But it will be shocking. Because we are biased by our own experiences. We imagine other beings to be similar to us. But maybe they are radically different. For example, it is quite possible that we won’t encounter the life forms themselves, but rather only their artifacts. In any case, we ourselves are not designed for interstellar journeys. The only reason astronauts survive in space is that they are under the protection of the Earth’s magnetic field. Even when traveling to Mars, cosmic rays will become a major problem. 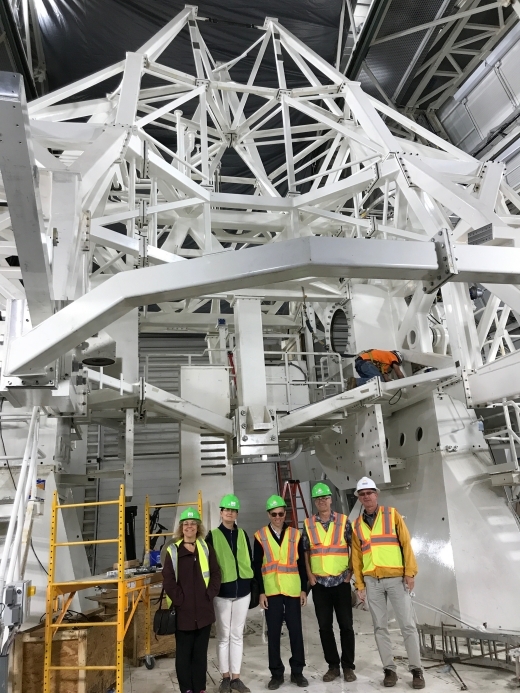 Image: Avi Loeb (center) at the Daniel K. Inoue Solar Telescope (DKIST) in June of 2017. Credit: Avi Loeb. Intriguing, given our conversations here about artificial intelligence and the emergence of non-biological civilizations. After all, we are in the nearby galactic company of numerous stars far older than our own. Would robotic beings supplant their biological cousins, or would the scenario be more like biological beings using artilects as their way of achieving interstellar travel? Either way, Loeb’s guess is that our first evidence will be an encounter with technological debris. The interview goes on to cover the ‘Oumuamua story’s outline thus far. Meanwhile, two new papers from Loeb have appeared, the first written with John C. Forbes. “Turning Up the Heat on ‘Oumuamua” looks at the interstellar object, whatever it is, from another angle. If we were to discover more objects like this, how could we best analyze them? In earlier work with Manasvi Lingam, Loeb examined the population of interstellar objects that could be trapped within the Solar System, slung by Jupiter into parabolic orbits around the Sun. The number could be as high as 6,000, a figure based on the deduced abundance of interstellar objects given the fact that we observed ‘Oumuamua as early as we did with instrumentation of the sensitivity of the Pan-STARRS telescopes. The paper references work on the overall abundance of these objects performed in 2017 by Greg Laughlin (UC-Santa Cruz) and Konstantin Batygin (Caltech), as well as a 2018 paper from Aaron Do (University of Hawai’i). In our new paper with John Forbes we proposed instead studying the vapor produced when such objects pass close to the Sun and get evaporated by the intense solar heat. We calculated the likelihood of that happening, keeping in mind that `Oumuamua did not show any signs of a cometary tail or carbon-based gas since it did not pass close enough to the Sun. We used the known orbit of `Oumumua and assume a population of similar interstellar objects on random orbits in the vicinity of the Sun. This provided us with a likelihood of passages close to the Sun. These objects would be expected to show a high orbital inclination, and assuming a population of this size, they should be readily detectable by future telescopes, such as the forthcoming Daniel K. Inoue Solar Telescope (DKIST). Another marker of interstellar origin, according to the paper, would be anomalous oxygen isotope ratios. If we can find interstellar objects that pass close to the Sun, we should be able to learn something about their composition. Loeb and Forbes use Monte Carlo methods to determine that such objects collide with the Sun once every 30 years, while about two should pass within the orbit of Mercury each year. Generally these studies are able to classify comets into different groups depending on the inferred production rates of H2O, C2, CN, and NH2 as well as dynamical properties, which likely reflect formation in different parts of the protoplanetary disk (Levison 1996)… The promise of using close encounters with the sun to learn about extrasolar small bodies is that the sun has the ability to disrupt even large cometary nuclei via its intense radiation, sublimating not just surface volatiles but even silicates and iron. In principle this exposes the interiors of these objects to remote spectroscopy, which could place strong constraints on the composition of these objects. And indeed, two comets — 96P/Machholz 1 and Yanaka (1998r) — have been found to have depleted levels of CN and C2 relative to water. Sun-grazing comets of interstellar origin, assuming we can identify them early through instrumentation like the LSST (Large Synoptic Survey Telescope) should be available for such examination, a way to probe their composition without the need for sending fast flyby missions, although the latter would obviously be useful. The lightcurve of the interstellar object Oumuamua showed a net brightening by one magnitude between October and November 2017, after corrections for the changing distances to the Sun and Earth and solar phase angle, assuming isotropic uniform albedo and the canonical phase function slope value for cometary and D-class objects of -0.04 magnitude per degree. We used the change in the orientation of `Oumuamua between October and November 2017 to show that this brightening implies a more extreme shape for the object. We inferred a ratio between its brightest and dimmest phases of at least 50:1 for a cigar shape and 20:1 for a pancake-like geometry. The revised values can be avoided if the phase function slope is 3 times larger than the canonical value, implying in turn another unusual property of `Oumuamua. Variations in albedo could be in play, although here we would be looking at sharp variations for a minor change in viewing angle of ~ 11°, which Loeb and Forbes consider a possibility, though one without precedent in previous studies of asteroids and comets. The papers are Forbes and Loeb, “Turning Up the Heat on ‘Oumuamua,” submitted to The Astrophysical Journal Letters (preprint); and Siraj and Loeb, “‘Oumuamua’s Geometry Could be More Extreme than Previously Inferred,” accepted at Research Notes of the American Astronomical Society (full text). I’m glad that the Daniel K. Inoue Solar Telescope (DKIST) is seeing first light in 2019, just hope the Federal budget problems will not delay it. Fascinating that this could be used to observe such objects, but they could have high polarization that should make them much easier to identify. A Geometry of 50:1 for a cigar shape sounds more like a pencil shape then cigar. One possibility, if it is artificial then it may have a limb darkening effect plus polarization to both cut heat retention and for visible to far infrared optical stealth. Great article and looking forward to 2019 being a great year in Astronomy! Thinking of spacecraft doing high-speed fly-bys – New Horizons, etc: they have to turn with just the right speed to point instruments at their target. IF ‘Oumuamua is rotating, it would be very interesting if it happened to slew in such a way as to do good observations of Earth and or other local planets. If it didn’t, it still would not refute an artificial origin (it may have other objectives or not be fully functioning). A bit late now – but it seems simultaneous observation of the light curves from a different angle would have revealed more. Were any of the instruments on any of the inner solar system orbiters and missions capable of imaging it? Those ratios seem extreme for any natural object – even a shard from some shattered nickel-iron asteroid. These findings have implications for SETI. Ronald Bracewell pointed out in 1960 that interstellar probes are an alternative to radio signals as a means of detecting an alien technological civilization. Since then, several people (including me) have proposed the probe scenario as a supplemental way to conduct SETI. Yet many SETI astronomers have refused to acknowledge this possibility. Their reluctance may be due to fear of being lumped in with UFO advocates. But I suspect another reason: the probe scenario implies a potentially greater impact on Humankind than receiving an electromagnetic signal. Some of the readers of Centauri Dreams are working on designs for human-built interstellar probes. We should address both scenarios. A decade ago I put that issue to Shostak after a talk he gave on SETI. He dismissed the possibility (or perhaps refused to consider it). One interpretation is that this would upset the approach of traditional SETI. It would also allow many more amateurs to play in that pond, just as amateurs have proven to be very effective at finding NEOs. Mainstream (read Radio) SETI would not even accept Optical SETI until 1998, and then largely because most of its biggest opponents had passed away. They then tried to conduct revisionist history by saying they had accepted searching for laser and infrared signatures all along! No doubt much of the fear and rejection of alien probes came from being lumped in with the UFO community, and not without some good reason. The general public often fails to distinguish between the two communities: This includes those in power who funded them, which was their bigger concern. Thankfully this attitude and narrow vision is finally changing. This database is also a big step in the right direction (that should have and could have been done a long time ago). Now what we need is an official network that coordinates SETI project efforts, with its most important aspect being the ability to immediately alert the observatory network when a signal is detected so that others can zoom in on the potential transmission. Otherwise we will suffer future versions of the 1977 Wow! signal, where only one observatory had detected a signal, and only hours later when a single staff member happened to look at the printout sheet. People have been looking for it ever since, with no luck and some rather prosaic and fringe alternate theories in the process. This is the 21st Century. Time for SETI to really get with the times. Last time I looked it would take 137,000 years to go from alpha centauri to earth at 20,000 mph. Do civilizations last that long? An idle speculation. Maybe an artilect civilization. Particular civilizations might not last so long but Western European cultures were shaped by the Roman and we retain much Roman law and ideas and still teach Latin. More than the same can be said of Chinese civilization and its earlier forms. Cultures change in response to technology as well as natural surroundings and our remote ancestors discovered over a million years ago how to use fire and shape stone, technologies never lost. We can expect civilization as a whole to endure if not in its present form. This indicates that if we just sit right here for the next 30,000 years, relative distance to Alpha Centauri will whittle down about 1.3 light years. And, as a matter of fact 35 to 40 thousand years from now, there should be a couple more local stars at such proximity (Gliese 445 and Ross 248). So that would be one way that interstellar travel planning should have a lower bound: you would want to be moving faster than relative motions, lest in some cases you might never get there. Also, it’s very difficult to navigate or in backtracking to tell where something came from. Which brings us back to the illustrative case of ‘Oumuamua. To think that the Voyager 1 and 2 space probes will reach the distance to Alpha Centauri in but a mere 77,000 years in comparison. I doubt the thing was artificial but it does suggest we make future interstellar probes look like asteroids, possibly by putting most of the computers and other gadgetry inside and disguising external appliances as surface irregularities. Or comets. That way they can also use the ice water as a debris shield, fuel, and coolant. Here’s something I don’t believe has been tried: an attempted wake-up call. How about blasting it with a high powered beam? We could use lasers and/or radio. The modern equivalent of poking something with a stick to see if it’s alive. Could we even hit it (with lasers) at this point or is it too far away by now? Didn’t we already hit it with radio waves? Like the idea. The first problem would be aim. Then the next problem would be what would ‘Oumuama like to hear? For starters, should we try discrete signals or analog? We’ve got fingers, so there is something to say for decimal forms. But we also use octaves. If we did send a sequence that meant anything to it, there is the possibility that it would answer back. It does not look like it has much internal energy, but since it has an extended axis or two, it might have a tendency to collimate what it transmits… Maybe we should use an offset device on the moon or somewhere so we don’t get a direct reply. And, of course, since we were just recently discussing that most life in the universe might be lithophilic…? Is something living inside? And if it does, when it wakes up, will it ask us to take it to our leader downstairs? Hmmm and what if contained a passive cavity resonator https://en.wikipedia.org/wiki/The_Thing_(listening_device) ? . Being wholly passive it would emit no power otherwise and thus also have no need for any power source. Such a device seems quite simple and thus could be ruggedly built to last eons. If you suppose its indeed a probe then might it not make sense that the main things the sender would want to know is has it found life and is it intelligent and advanced. Blasting it with various RF signals would might thereby send a signal that it has been queried – and thus confirms it found intelligent life of a certain technical level. What an interesting, low-risk, high potential return experiment. Now I will be pondering that one all night. I guess we listened for a signal for a short time. I suppose it is too far gone to ‘light up’ now. Also I wonder, Did it come from anyplace (or is it headed towards) anything or place interesting? Like AC or a local Lagrangian point? I seem to recall reading that people backtracking ‘Oumuamua’s course have found no obvious stellar origin so far. Uncertainties about its exact inbound course (it was first observed after being gravitationally deflected by the sun) didn’t help. Wow! METI with a vengeance! Would the same concerns arise? ‘Oumuamua was close enough to hear our everyday transmissions. If it was listening, then it knows there is a technological species on Earth. I would still recommend broadcasting a message to any other interstellar visitor though. It may actually be safer to demonstrate that we are able to see the visitor and since an ETI probe in our solar system would know of our existence, the risk posed by revealing ourselves doesn’t exist. This assumes that an alien probe would be searching for the kind of signals that we would expect them to search for, such as radio, radar, and television transmissions. Being alien, they may have other agenda in mind. Recall that when Morrison and Cocconi were first contemplating how to search for ETI in 1959, they considered not radio waves but gamma rays. Pre-modern SETI concepts included looking for light signals from Mars, or making our own such as putting oil in a huge isosceles triangle in the Sahara Desert and setting it aflame. We are also automatically assuming that Earth would be their target in the search for life. They may be more interested in one of the Jovian worlds and/or their moons. If experience tells us to keep an open mind about where to look for life and intelligence then it is safe to assume that an ETI probe would look at as many objects in a star system as it could and search for signals across as wide a range of the electromagnetic spectrum as possible. Unless our solar system is the first system visited. You would think that and it does make logical sense – to us. Alien minds may have a very different set of logic and rationalization based on their evolution and culture. Not so long ago relatively speaking, most professional astronomers would have said that Mars and even Venus were the best places to look for alien life in the Sol system, while scoffing at the idea that some of the Jovian moons might be much better places for that. After all, those distant moons were very cold and very dead worlds so far as they knew. And that attitude lasted right up until the Voyager flybys in 1979. When the Soviet Union were sending their first lander probes to Venus in the early 1960s, they were designed to float because their scientists were convinced that the planet was covered in liquid, be it water, seltzer, or oil. The landers had a protective lock composed of sugar. Upon being dunked in the alien sea, the sugar lock would dissolve and release the probe’s transmitter antennae, which would send home the incredible news that Earth was no longer the only known world able to keep water in a liquid state on its surface. That was the expectation, at least. This was done through Venera 4 in 1967, five years after Mariner 2 flew by Venus and showed that the global surface temperature was 800 degrees Fahrenheit, revised to 900 degrees F in later years. Breakthrough Starshot conducted several Radio and Optical SETI efforts with Oumuamua (negative results), but no METI so far as I know of. I presume if Oumuamua were an artificial probe and it wanted to contact humanity, it would have already done so without requiring a prompt from us. Unless it was some sort of scenario equivalent to the Monolith on the Moon from 2001: A Space Odyssey, where it is waiting for a deliberate effort from humanity to make contact, showing that we were at least smart and advanced enough not only to find the alien vessel but attempt to reach out to it. Scientists at the SETI Institute have attempted to address this question by using the Allen Telescope Array (ATA) to observe ‘Oumuamua when it was about 170 million miles away, or slightly less than the diameter of Earth’s orbit. The intention was to measure artificial radio transmissions which, if found, would be strong evidence that this object is not simply a rock tossed into space by a random gravitational slingshot interaction that occurred in its home star system. What would you suggest? Keep in mind this “beam” is not a laser beam or anything else that might sound like a weapon. Do you think they would be more comfortable with an approaching alien (to them) vessel? You take my comment too seriously, ljk. Andrew Palfreyman suggested “blasting it with a high powered beam”. My comment was tongue in cheek. It is difficult when one cannot see facial expressions or tonal inflections. And sadly there are many who take METI very seriously in a negative way. Looks less natural all the time don’t it? A 50:1 (or greater) cigar shape might be needle like for a craft once ment to fly at high speed and minimize interstellar dust collisions. “Pancake-like” sounds like ye olden flying saucers of the 50s! Would a pancake shape imply a solar/laser sail design? Not saying it is a sail, just putting the question out there. I am sure it is not “Oumuamua continue to inspire…”, but human beings, are inspiring them self :-) We are hungry for sensations, Oumuamua seams to be absolutely indifferent to us. Enter Greg Laughlin! In his keynote address at the recent AAAS symposium, he mentioned two important things. ONE: The TOTAL number of `Oumuamua-like objects in the milky way galaxy is a STAGGERING one hundred septillion(one followed by twenty five zeroes)! TWO: He claims that he is on the verge of finishing a paper that states that the light curve of `Oumuamua is consistant with that of an elongated comet with a single JET of outgassed material visible at the wavelenghts used to observe `Oumuamua. This should be up on ArXiv very soon. I hope the publication he submits it to asks Dr Loeb to be one of the referees in light of the new information he presents in this post. If it does not, it would exemplify the BIAS against SETI by most(The Astrophysical Journal being the main exception)scientific publications. Now, enter myself. I just saw a very intreguing lightsail configuration I had never seen before! It consists of four long but narrow sheets of equal size each intersecting at the exact center to form a cross. What really intregued me was a a “pully system” that could be used to RETRACT ALL FOUR sail segments and then RE-OPEN them to full length. If `Oumuamua is an ACTIVE probe. this could explain the extreme light curve variations AND ELIMINATE THE NEED for `Oumuamua to be tumbling chaotically to fit the lightcurve. The key to this is that different configurations of this kind of lightsail would mean different acceleration RATES! Paul Gilster: Could you ask Dr Loeb whether it is possible to CORRELATE acceleration rates with the variations in `Oumuamua’s brightness using the existing data? I’ll mention this to Dr. Loeb, Harry. The most important thing this kind of lightsail would do is to ELIMINATE the Rafikov Conundrum ALTOGETHER! A tumbling object that is ALSO outgassing(including Laughlin’s “single jet)would spin up, and in the case of an extremely elongated icy object, would almost certainly break apart. I also assume(correct me if I am wrong)that a tumbling object accelerating by ONLY by solar radiation pressure would ALSO spin up, although not so violently. Since NO spin up of ANY kind was detected, this should negate ANY POSSIBILITY of a DERILICT lightsail OF ANY KIND! A big question would remain for the alternative “active probe” theory, as well. Why DELIBERATELY tumble your lightsail? If you can eliminate tumbling, all of these roadblocks go away! Now, to elaborate a bit on checking for different RATES of acceleration at different FLUXES in the lightcurve. If the rate of acceleration were greatest when the flux was ALSO at its highest, AND; the rate of acceleration was least when the flux was ALSO at its lowest, this would STRONGLY SUPPORT CONTINUOUS RETRACTION AND EXTENTION of several different lightsail components SIMULTANEOUSLY, which could completely explain the light curves without any need for tumbling at all. ALSO: “Waiting for the next one ” may not be necessary if you are able to create a “machine learning” algorithm sensitive enough to tease out different rates of acceleration(if there ARE any)from the complete existing `Oumuamua observation database! This may be a VERY OPTIMISTIC scenario, but I strongly suggest that it is one worth persuing! FINALLY: I am utterly shocked at the mainstream scientific community’s seemingly intractable assertion that `Oumuamua “must” be a natural object in light of the above mentioned “Rafikov Conundrum” without even ADDRESSING it in any way whatsoever! NOT ONE PAPER has come forward to either REFUTE it or to create some kind of “loophole” allowing `Oumuamua to tumble, outgas, AND to accelerate WITHOUT SPINNING UP! I sincerely hpoe that Laughlin et al will be the first to do so in their upcoming paper. J Wright – Space Sailing (1992). Fig. 6.8 p159, has a cross-shaped sail design, where the blades can be orientated to induce spin. The proposed Halley comet heliogyro design had 8 blades. I don’t think these designs included retraction after deployment, but it clearly is a possibility. Les Johnson would be the expert to contact on these designs. A retractable lightsail in the scientific literature: “Verification of a Retractable Solar-Sail in a Thermal-Vacuum Environment. by Jeremy Banic. NOW: The BIG question arises: WHY? Why go through all of the convoluted steps of retracting and re-extending a liohtsail after periastron passage. The answer may be derived from the following quote: “The lightcurve of the interstellar object Oumuamua showed a net brightening by one magnitude between October and November 2017…”. Its all in the TIMING. Assuming that a fully extended lightsail could somehow HINDER observations of EARTH, the lightsail was FULLY RETRACTED by the time of `Oumuamua’s CLOSEST PASSAGE TO EARTH! IMMEDIATELY THEREAFTER, it was extended to its MAXIMUM VOLUME sometime in November to produce a maximum RATE of acceleration. Shortly after that, it partially retracted AGAIN, possibly to MINIMALIZE possibly damaging interactions with zodiacal light and geguenschein dust. Loeb examined the population of interstellar objects that could be trapped within the Solar System, slung by Jupiter into parabolic orbits around the Sun. Doesn’t “parabolic” mean NOT trapped within the Solar System? No, a parabolic orbit can occur around the Sun and thus in the Solar System. ‘Oumuamua is on a hyperbolic orbit, which will never return to the Sun. Near the critical inclination there is ambiguity whether a trajectory is a hyperbola, a parabola or an ellipse. The ambiguity is due to the error bars with just a small number of closely spaced observations. An incoming object that starts with a low solar velocity will be near the critical inclination. The object can be truly extra-solar, but can just as easily be a KBO or Oort object deflected inward by a small gravitational interaction with another object. It helps to get data points when the object is further out, whether when incoming or outgoing, to determine the curve with confidence. Given that PAN STARRS was initially estimated to find one interstellar object or so a year, and that the number of scopes has been halved, it is as likely as it is that we haven’t yet seen another one? From that paper, for the cigar-like shape the 50:1 ratio is their minimum, for they find “the ratio between ‘Oumuamua’s brightest and dimmest phases is between 50:1 and 80:1.” So more correct would be saying 65 +/- 15 to 1 as the ratio range. On the parabolic vs. captured issue, what we might have is a gray area. The math is a literal splitting of a hair between hyperbolic and elliptic. You could have a highly elliptic orbit which in the real world could be perturbed enough to cause a loss out somewhere hundreds of years away from perihelion – or vice versa. Parabolic, potential and kinetic energy equal in value – would be hard to maintain. In observation there would likely always be some imbalance. Slava Linkin, one of the leading planetary scientists in the Soviet Union and later Russia, passed away on 16 January 2019. Viachelslav Mikhailovich Linkin was an enormously important participant in Planetary Society history. He was deeply involved with The Planetary Society from 1984, when the Soviet Union flew their two Venus-Halley (VEGA) spacecraft past Comet Halley, to 2005, when we worked together to fly the first solar sail spacecraft, Cosmos 1. In between, he created international cooperation on Society projects. He played crucial roles in Mars balloon and Mars rover testing, the inclusion of Visions of Mars on the Mars ‘96 project, development of the Mars Microphone, and on the Cosmos 1 solar sail. In 1999 Slava came to The Planetary Society with an offer: they would launch and help develop the spacecraft to fly the first solar sail, if the Society could arrange to provide the sail and key components of the payload, including the camera. Thus was born the Society’s Cosmos 1 Solar Sail project, whose legacy now lives on with LightSail. So this civilization would be out of the solar system and in the galaxy? In the galaxy. It may be dead by now, because we don’t take good care of our planet. Imagine another history, in which the Nazis have a nuclear weapon and the Second World War ends differently. You can imagine a civilization that develops technology like that, which would lead to its own destruction. It’s possible that the civilization is not alive anymore, but it did send out a spacecraft. We ourselves sent out Voyager I and Voyager II. There could be a lot of equipment out there. The point is that this is the very first object we found from outside the solar system. It is very similar to when I walk on the beach with my daughter and look at the seashells that are swept ashore. Every now and then we find an object of artificial origin. And this could be a message in a bottle, and we should be open-minded. So we put this sentence in the paper. Last year, I wrote a paper about cosmology where there was an unusual result, which showed that perhaps the gas in the universe was much colder than we expected. And so we postulated that maybe dark matter has some property that makes the gas cooler. And nobody cares, nobody is worried about it, no one says it is not science. Everyone says that is mainstream—to consider dark matter, a substance we have never seen. That’s completely fine. It doesn’t bother anyone. But when you mention the possibility that there could be equipment out there that is coming from another civilization—which, to my mind, is much less speculative, because we have already sent things into space—then that is regarded as unscientific. But we didn’t just invent this thing out of thin air. The reason we were driven to put in that sentence was because of the evidence, because of the facts. If someone else has a better explanation, they should write a paper about it rather than just saying what you said. What about all the military surveillance telescopes, some of them are very capable of picking up ‘Oumuamua. The question is did they look or could their scopes have been looking in that direction in 2017? Many of these instruments are designed for fast surveys like the LSST. The military does record a lot of data that science would love. The problem is a combination of them keeping it all classified for decades or ignoring altogether anything not considered an immediate threat. The concept of a rapid spread of self-replicating interstellar probes (SRPs) throughout the Milky Way adds considerable strength to Fermi’s Paradox. A single civilisation creating a single SRP is sufficient for a fleet of SRPs to grow and explore the entire Galaxy on timescales much shorter than the age of the Earth – so why do we see no signs of such probes? One solution to this Paradox suggests that self-replicating probes eventually undergo replication errors and evolve into predator-prey populations, reducing the total number of probes and removing them from our view. I apply Lotka-Volterra models of predator-prey competition to interstellar probes navigating a network of stars in the Galactic Habitable Zone to investigate this scenario. I find that depending on the local growth mode of both populations and the flow of predators/prey between stars, there are many stable solutions with relatively large numbers of prey probes inhabiting the Milky Way. The solutions can exhibit the classic oscillatory pattern of Lotka-Volterra systems, but this depends sensitively on the input parameters. Typically, local and global equilibria are established, with prey sometimes outnumbering the predators. Accordingly, we find this solution to Fermi’s Paradox does not reduce the probe population sufficiently to be viable. The discovery of 1I/`Oumuamua confirmed that planetesimals must exist in great numbers in interstellar space. Originally generated during planet formation, they are scattered from their original systems and subsequently drift through interstellar space. As a consequence they should seed molecular clouds with at least hundred-metre-scale objects. We consider how the galactic background density of planetesimals, enriched from successive generations of star and system formation, can be incorporated into forming stellar systems. We find that at minimum of the order of 10 7 `Oumuamua-sized and larger objects, plausibly including hundred-kilometre-scale objects, should be present in protoplanetary disks. At such initial sizes, the growth process of these seed planetesimals in the initial gas- and dust-rich protoplanetary disks is likely to be substantially accelerated. This could resolve the tension between accretionary timescales and the observed youth of fully-fledged planetary systems. Our results strongly advocate that the population of interstellar planetesimals should be taken into account in future studies of planet formation. As not only the Galaxy’s stellar metallicity increased over time but also the density of interstellar objects, we hypothesize that this enriched seeding accelerates and enhances planetary formation after the first couple of generations of planetary systems. Previous post: Is Most Life in the Universe Lithophilic?